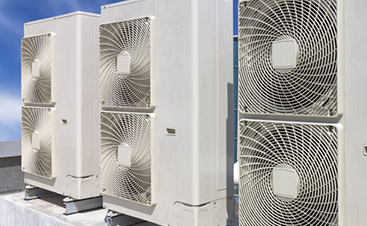 In our most recent blog, we detailed eight things to watch out for that indicate it might be time for air conditioner repair. Sure, if you’re getting warm air from the vents when the air conditioning is one then it’s pretty obvious that you need to call someone for air conditioning repair service. And if the humidity in the house is high, no doubt your first thought is to contact a professional. But you should also give an HVAC repair company a call if you heard strange sounds coming from your vents or see standing water around your outdoor unit. Weird smells and constant cycling should also get you to pick up the phone. But sometimes the problems are worse than simple AC repair can handle. The air conditioner is on its way out, with the old AC unit heading to the recycling center and new air conditioner installation in your future. How Do I Decide If It’s Time? We don’t necessarily write this blog to help you make the decision as to whether or not you should immediately scrap your air conditioner. After all, if the technician gets there and says that it’s a simple fix, you’ll probably choose that. We primarily write this blog in order to give you a heads-up on what to expect if they say that it’s definitely time to get an air conditioner replacement. So, what are some of the signs to watch for that mean you should start saving for a new air conditioning unit? This holds true for most appliances. Once they start to need repairs on a regular basis, you seriously have to consider the cost of repairing them versus the cost of simply buying a new one. Occasional repairs aren’t a big deal. But when a single year’s worth of repairs could have purchased you an entirely new unit, the choice is obvious. This list of repairs doesn’t include air conditioner maintenance, of course. AC maintenance shouldn’t be considered a repair, but just a means to extend the life of your unit for very little money. Click here to learn more about heating and cooling maintenance that can save you money in the long run. They just don’t make things like they used to. While that old refrigerator from 1958 might still be chugging along in the basement, the one you bought just 10 years ago gave out with no chance of repair. It’s true, most appliances just aren’t going to last like ones made long ago. If your AC unit is more than 15 years old, there’s a very good chance that it just makes more sense to replace it than repair it. In fact, having one last for more than 10 years might be a surprise. Remember that decades-old refrigerator in the basement we just talked about? Isn’t it great that it’s still working while everything else falls apart around us? But the truth is, that still-working refrigerator is doing more harm than good. Yes, it still works, but it’s also wasting many times the energy of a new refrigerator. The same is true for air conditioners, in that modern units use less energy due to increased efficiency that consumers demanded from manufacturers. If you see your electric bills heading skyward year after year and the cost of electricity in your area is staying the same, there’s an excellent chance that it’s your air conditioner’s fault. If you do some calculations and discover that the energy savings from new AC installation will cost you less after just a few years, you should definitely give an HVAC company a call. We’re labeling this “weird stuff” because it brings together many of the problems that could mean you need a new AC unit…or it could just mean that you need AC tune-up or repair. Warm Air / No Cold Air – This could mean just about anything! Your thermostat might have gotten bumped, and cold air could be just a few button presses away. On the other hand, it could also mean that the HVAC blower is working but that the air conditioner itself is beyond repair. A Change In The Sound – You know what the background hum of your house sounds like, and when it changes suddenly you’ll know it. Strange sounds coming from your air conditioner could mean the fan is out of alignment, but it could also mean that it’s on its last leg. Air Flow Is Reduced – If you stand over your vent and can just feel a trickle of cold air, something could be wrong with either your AC or the HVAC blower. Hopefully it’s a simple repair, but it could be time for AC replacement. 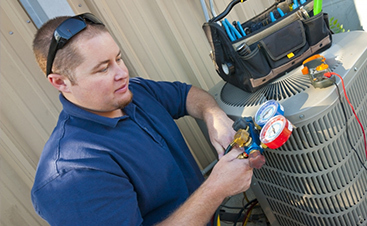 In all of the circumstances, the AC tech won’t be able to tell you whether you need repair or replacement until they get there and thoroughly inspect your air conditioner in person. Do You Need AC Installation? If your air conditioner is old and giving you problems, there’s a very good chance that it’s time for a full air conditioner replacement. On the other hand, if your unit is newer then you may simply need AC repair. 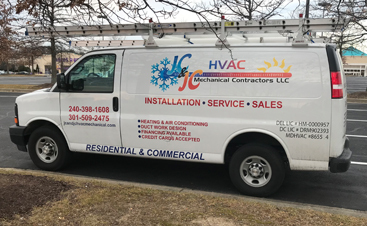 The friendly repair technician from JC & JC HVAC Mechanical Contractors will be able to take a look at your air conditioner and HVAC blower and give you advice on what will work best for you. If the decision is made to have new AC installation performed, don’t worry. JC & JC offers financing to make the cost of it bearable. But you won’t know if you need it until you give us a call, so if you’re having AC problems be sure to contact us right here!